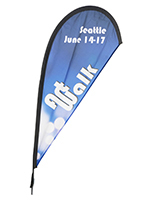 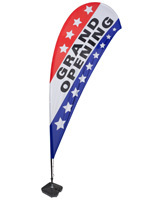 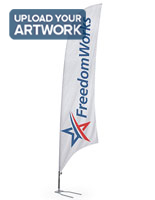 Bowhead flags are a great way to draw in customers in areas with heavy foot traffic like boardwalks, shopping malls and retail outlets. 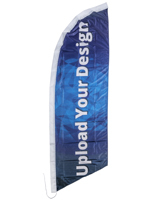 By effectively combining custom graphics, an eye-catching design, and the right location, marketers can reach a large amount of potential new customers. 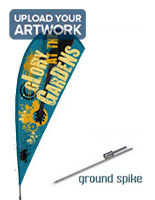 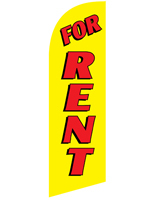 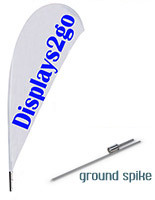 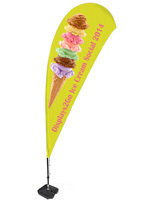 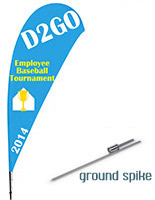 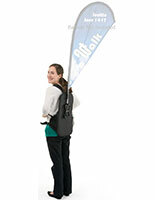 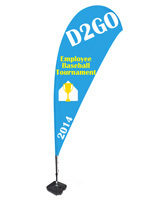 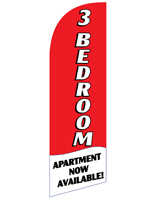 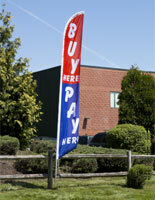 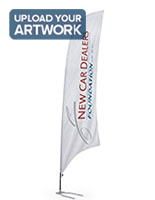 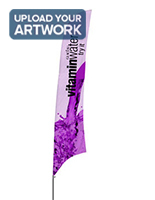 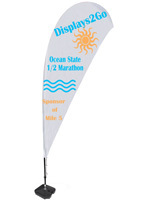 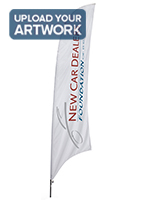 These promotional banners are great to use both outdoors and indoors. Many styles feature a weighted base so they can still be used outside in blustery conditions. 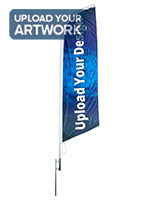 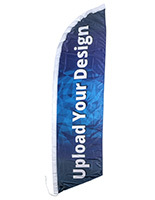 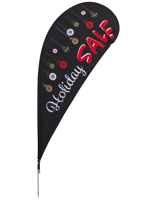 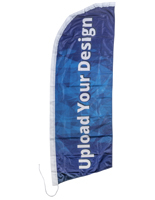 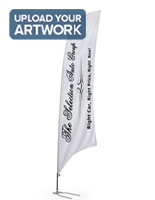 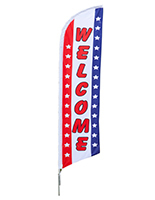 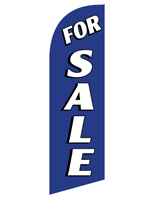 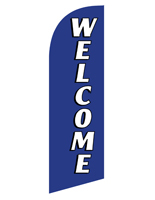 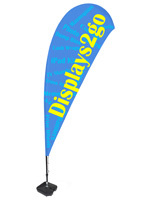 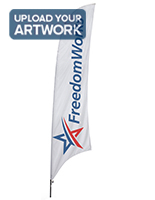 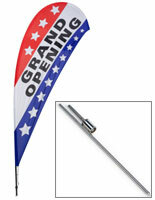 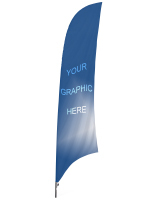 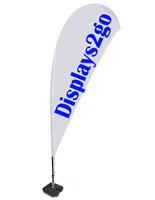 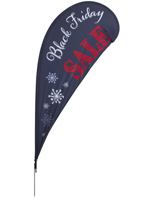 These bowhead banners are available with both custom graphics and pre-printed messages. 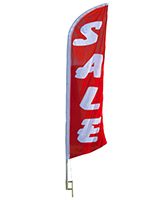 Generic "sale" and "open" flags can be taken in and out at specific times of the day, week or month. 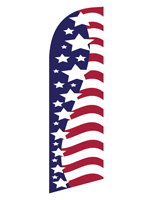 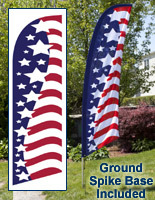 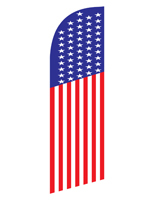 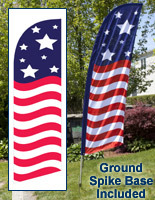 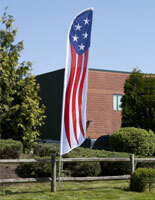 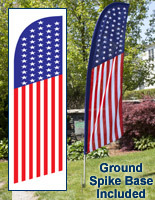 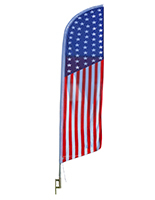 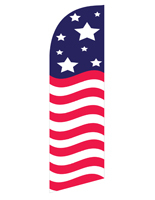 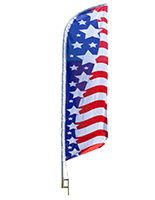 There are also plain flags that feature simples designs that feature american flag patterns to show some patriotism! 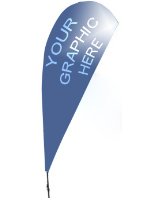 By using custom graphics, store owners can add logos, product brands, or uniquely crafted messages. 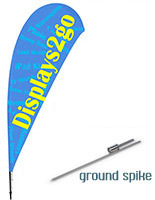 Stand out above the competition and start increasing the number of people in your store.